Spent a brilliant weekend visiting friends in Germany. 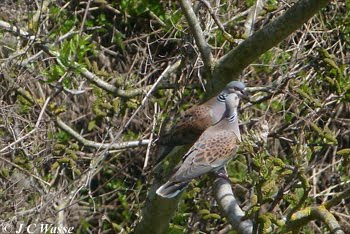 Successful birding as well with a good variety of habitats visited and species seen. First stop (Fri 29 April) the Kaiserstuhl in SW Germany just across the Rhine from Colmar in France, and to the west of Freiburg. This vineyard rich area with its distinctive sandy soil has a Mediterranean feel in looks as well as in its fauna. Hoopoes were showy and called frequently but Bee-eaters were not yet in. A pair of displaying Turtle Doves may have been also-rans in the past but, now, I gave them as much time as the Hoopoes and Black Kites present. 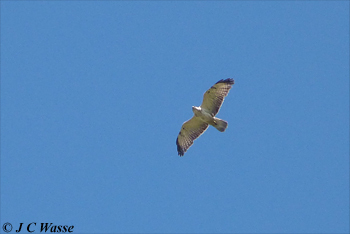 A strikingly pale Common Buzzard was in the area. 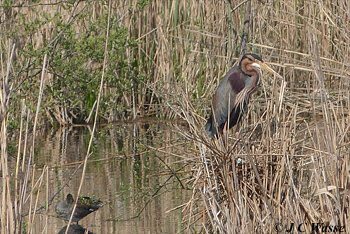 A couple of visits (Sat 30 April and Sun 21 01 May) to the marshland reserve called Waghausel north of Karlsruhe held its goodies. Purple Herons attended their reedbed 'tower' nests but the Bluethroats were not as showy, only a couple of makes glimpsed from their reedbed song posts. Waders on the move with a dozen Greenshank, a couple of Spotted Redshanks and half a dozen Wood Sandpipers present, the latter down to one on the second visit. 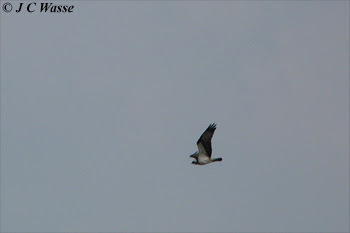 Raptors were good, 8 species seen with top billing going to an Osprey heading north mid pm on on the Sunday - flashback to 2003 when we also caught up with a passage bird. This one made three attempts to get lunch but left with empty wet talons. 6 Mediterranean Gulls present in the BH Gull colony comprised pairs at the 3 differing ages (1st summer, 2nd summer and adult summer) and a smart adult Little Gull slept before a Peregrine spooked the roosting gulls on the first pond. Final day (Mon 02 May) and off to the Black Forest before flying home in the evening. A couple of Red Kites were noted and 1 or 2 Alpine Swifts briefly joined half a dozen or so Common Swifts feeding above an upland valley. A ski slope just off the 'Black Forest High Street' still sporting patches of unmelted snow held feeding Thrushes represented by: Mistle (12+), Blackbird (5+), Ring Ouzel (2) and Song Thrush (1). The Ouzels looked not to be local 'alpestris' birds but birds of more northern climes. A Wheatear added to the variety as did Chafinches. A little disappointing not to catch up with Citril Finch and Nutcracker as in years past, but birding sat outside a cafe eating cake and drinking hot chocolate with 'scopes primed cannot be bad. Perhaps we were just too lucky a couple of years? ago when we fluked an immature Pallid Harrier migrating through this Pass in mid April. Cheers to Chris and Sue for their kind hospitality, looking forward to the next German pilgrimage. Trip report to be uploaded in the coming weeks.